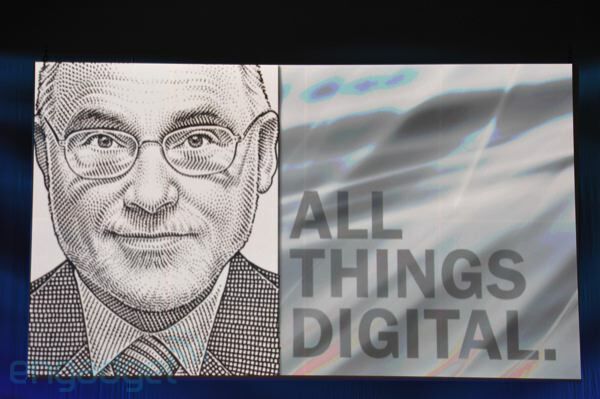 We just wrapped up our liveblog of HP CEO Leo Apotheker's appearance here at D9, and while he certainly spoke far too frequently about printers, there was one nugget that we just couldn't overlook. When speaking casually about the future of webOS on non-HP handsets, he noted that the firm was looking to license webOS to various other hardware manufacturers. Granted, the bulk of these are likely to be wrapped up in the enterprise, but he's not tossing out the idea of using webOS on other mobile devices. When asked if he'd consider licensing webOS to a company like HTC, he confessed to being very willing to having that conversation should the scenario present itself -- a stance that's quite different than the one held by the "old HP." It's hard to say if he's just shooting the breeze or if there's already a company or two behind the scenes looking to do just that, but either way, you can bet we'll be keeping our eyes peeled for any webOS creations sans HP's labeling. Talk about a serious play to get the attention of developers.